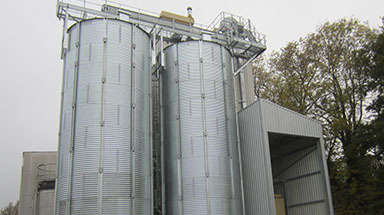 Bentall Rowlands provided a quality and efficient service through the entire project, from planning through to installation. 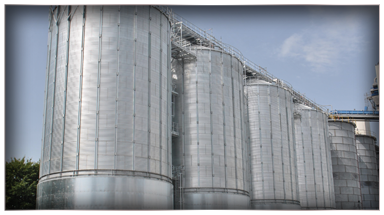 I hope the relationship can say strong and continue post completion of the current project and that the contingency plan can come to fruition with as much success as we expect from this project. 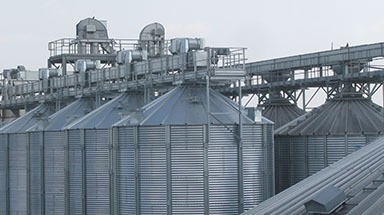 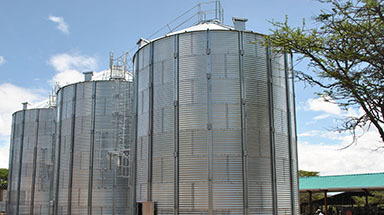 Each silo holds 1,550 tonnes of maize with a bulk density of 721 kg/m³ and is fed by a single 350 tons per hour chain and flight conveyor. 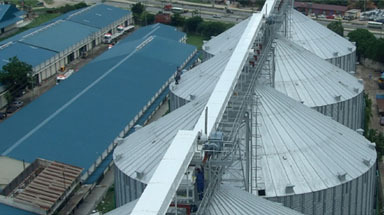 The conveyor is supported on a custom designed top catwalk system which is 4.00 metres wide. 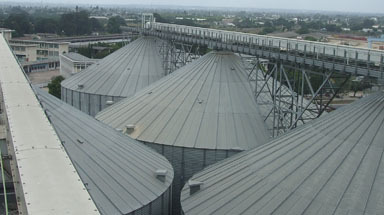 The top catwalk features full width decking allowing the operators the maximum available area for maintenance. 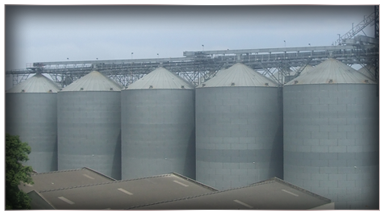 To further help the operator with maintenance the silos eaves have been fitted with a handrail system. 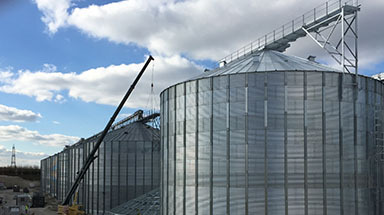 With the very high loads being imposed by the catwalk and conveyor the silos are fitted with two sets of four vertical side wall brackets ensuring the load is safely transferred to the external stiffeners. 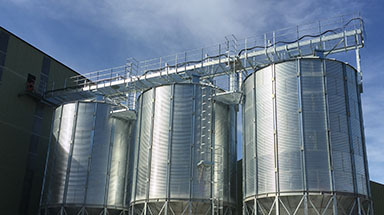 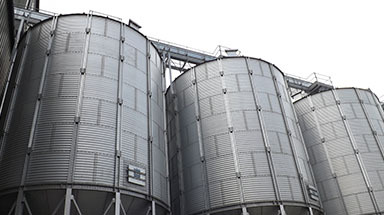 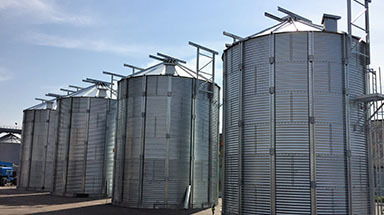 The hopper bottom silos that have been installed by Bentall Rowlands have improved the health and safety of the employees greatly to meet EU standards and the quality of the workmanship was unrivalled. 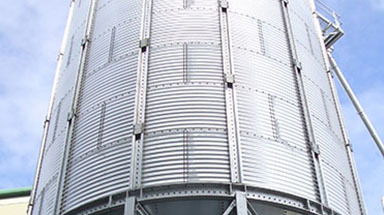 Details of project to follow.